Dallas is a thriving city in northeast Texas with a population of over one million. It is a major business center in Texas and is an up and coming city. Dallas has a variety of entertainment venues, parks, cuisine, arts, and so much more. It is also home to the Dallas Cowboys, a world renowned NFL football team; the Texas Rangers, a Major League Baseball team; the Dallas Mavericks, a National Basketball Association team; and the Dallas Stars, a National Hockey League team. No matter what season of the year one visits Dallas they are sure to find plenty to see, taste, hear and experience. 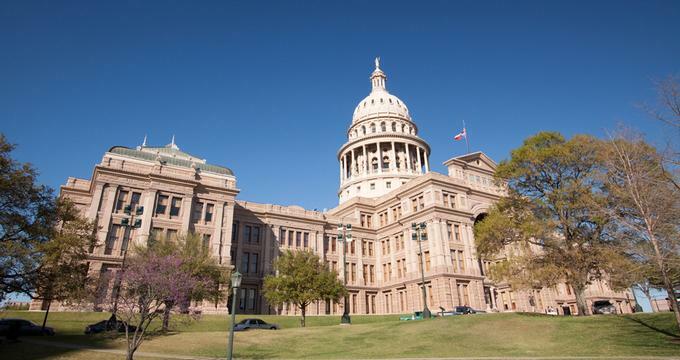 195 miles south of Dallas is Austin, the capital city of Texas. Austin is a smaller city but just as cosmopolitan as Dallas. It is a city full of history, cultural events such as music, theatre and arts; and its own line up of professional sports teams like Round Rock Express, Pacific Coast League Baseball; Austin Spurs NBA D-League Basketball; Texas Stars American Hockey League; Austin Aztex, United Soccer League; and Austin Outlaws, Women's Football Alliance. 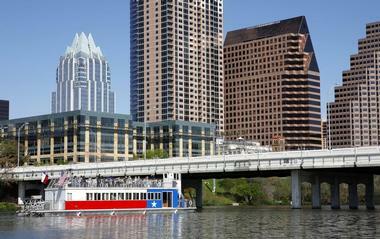 The city slogan is "Absolutely" signifying Austin as a must see city. How far is Austin from Dallas? The distance from Austin to Dallas is 195 miles. 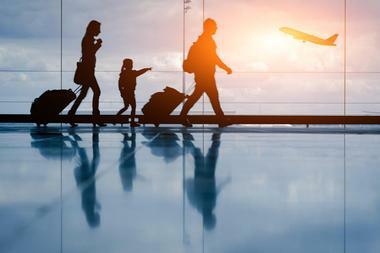 Dallas has two large airports – Dallas Fort Worth International Airport (DFW) and Dallas Love Field (DAL). A roundtrip, non-stop ticket from DFW to Austin begins at $168. DAL does not offer non-stop flights to Austin. However, one can get flights from DAL starting at $679 roundtrip. DFW is serviced by all the major airlines including several international airlines making it easy for one to get to Dallas from virtually anywhere in the world. Parking at DFW has a maximum of $22/day. Hourly parking begins at $2/hour and is prorated up to the full day fare. DAL is served by a smaller group of airlines. Southwest, American, United, and Delta are the major carriers. A much smaller airport, with a Texas-sized record – DAL serves over 7 million passengers a year. DAL parking fees depend on the lot. Maximum per day starts at $17. Hourly parking is prorated up from $2/hour. DAL also offers valet parking. No matter which Dallas airport one chooses, Southern hospitality is the norm. Not everyone likes to take to the skies. If this is the case with you, Amtrak can be a great alternative. One leg of the Texas Eagle route runs between Dallas and Austin daily. Fares for the six and a half hour trip start at just $23. So, if time is not a factor, the train may be a relaxing way to go. 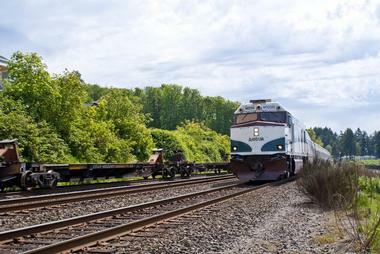 Service on this train includes a dining car, a lounge and ADA accessibility. For those wishing to have a sleeper car, this train offers a two person Superliner Roomette which includes a small toilet and sink, and a three person Superliner Bedroom with a bath room that includes a shower. These options start at $99.00. This may be a perfect option for one traveling with a small child where privacy might be a requirement. Greyhound offers daily service between Dallas and Austin. Fares begin as low as $13.50 one way. The travel time is approximately three hours depending on the number of stops. There are also discount fares for seniors, students, veterans and companion fares as well. Just as technology has advanced, the services and amenities offered on Greyhound bus trips today are far superior to days gone by. Personal, adjustable air vents; bath room on board; wheelchair lift and seating space; one’s choice of seat; priority boarding for certain classes of fares; and overhead storage – all included for the traveler’s comfort and convenience. Other perks include free Wi-Fi, extra leg room, reclining seats, and 3-point safety belts. Greyhound also delivers packages. If one enjoys traveling by bus, Greyhound offers a generous reward program as well. There are two shuttles services that leave DFW and go to Austin; the SuperShuttle and Go Airport Shuttle. Both offer a variety of services from shared van to private limousine and several options in between. Fares start at $40 one way and go up from there. The website offers one all the details for reserving a private car transfer from Dallas to Austin. How far is Dallas and Austin? About 200 miles. All the major car rental agencies are represented in both in Dallas and Austin. Planning one’s route between Dallas and Austin will be relatively easy. There is one main interstate that runs from Dallas to Austin, I-35. Connections from the Dallas-Fort Worth can be made by using 35-E if coming from the east side or 35-W if coming from the west. Regardless of whether one rents a car, or uses his own car, the trip will be fabulous. Driving a car allows one to stop and see anything and everything on the way. About half way between Dallas and Austin is Waco – the home of Magnolia Market run by celebrities Chip and Joanna Gaines who host the HGTV show "Fixer Upper". Not only do they have a market, but they also have a bed and breakfast. If one is a fan of HGTV, this is a place to stop. Maybe a great opportunity for a photo and autograph! The city of Austin has many interesting attractions. Some of them include the Austin Nature & Science Center, Zilker Botanical Garden, Paramount Theater, the Museum of the Weird and Barton Creek Greenbelt Park that features swimming, trails, and biking. 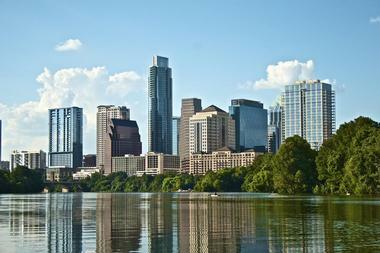 The Colorado River flows through Austin providing a natural waterway and beautiful park settings. One particular attraction is the Lone Star Riverboat. They offer a selection of tours including a bat watching tour that takes off at dusk. This tour runs March through October and is priced at $10/adult and $7/children. It is a one hour tour. From March through mid-December there are weekend tours at 3:00 p.m. both Saturday and Sunday. Also, on Friday evenings the Lone Star offers a moonlight cruise that leaves at 10:30 p.m. There are other tours of the city as well including Segways, and double-decker buses. The Austin city website has a nice listing of everything Austin. If one is looking for lodging, Austin has all the usual hotel chains; Hilton, Aloft, Marriott, Hyatt, Residence Inn, and many more. Steeped in history, Austin also offers a fine list of bed and breakfast options. Many of these B&Bs are located in historical homes and mansions. They are clustered in downtown Austin and in neighborhoods near the river. Austin offers a wide selection of cuisine including Japanese, Mexican, Italian, French, Thai, Southern comfort, steak houses, dinner theaters and more. One will easily find something to meet the desires of the palate. There are about 30 wineries near Austin and Austin offers many wine bars and tasting rooms. Enjoy a Texas wine while enjoying a splendid view of the river. Austin is known for being bike friendly – in fact it is the friendliest bike city in Texas. Personally, the thought of riding bike from one huge city to another is scary. But many bike enthusiasts love a challenge. There are some back roads that are much more biker friendly than the super highway that passes from Dallas to Austin. The Texas state governmenthas a website that details the routes throughout the state. There are several trails around both Dallas and Austin. Google maps show several bike routes. One of interest is a route that follows I-35 but utilizes frontage roads so the biker is not on the main highway. There is so much to see and experience in the Dallas - Austin region of Texas. Getting from one city to the other is anxiety free; whether one flies or drives this trip will leave lasting memories. 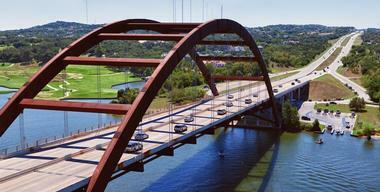 There is something for everyone in Austin - golf, biking, hiking, arts, festivals, music, history, shopping, and sports.